The origins, rise and fall of a religious revival movement. A realistic, dreamlike account of visions and those who yearn for religion, despite their doubts. Thirteen-year-old Tuulikki may be small and delicate, but enormous powers reside within her. When they begin to emerge, an ecstatic revivalist movement is born. Tuulikki’s gifts as a preacher throw the life of the utterly average Heinonen family off the rails – and as can be expected, there is no shortage of outsiders who try to take advantage of the situation. But the assistance offered by lay preacher Sigurd Sihvonen contains within it the seeds of destruction. Awake, Ye Sleepers takes place in 1949, an era of enormous uncertainty that saw the emergence of numerous local revival movements across Finland. The story develops in the south-western village of Nihtamo, travels across the ocean to Australia, and takes on grander, near-biblical associations during a wilderness pilgrimage to northern Finland. 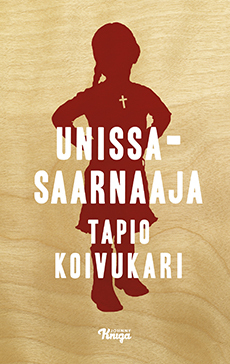 Tapio Koivukari masterfully depicts both religious movements and village life and also constructs finely drawn images of immigration and alienation. Inspired by true events, Awake, Ye Sleepers puts in readers’ hands a strangely exotic, alarmingly timely novel that ultimately transcends its original scale.